Sos Piman - Piman Confi"
This version is slightly different from the traditional Piman Bouk because this does NOT use any vinegar. This version was passed down from my late grandmother. 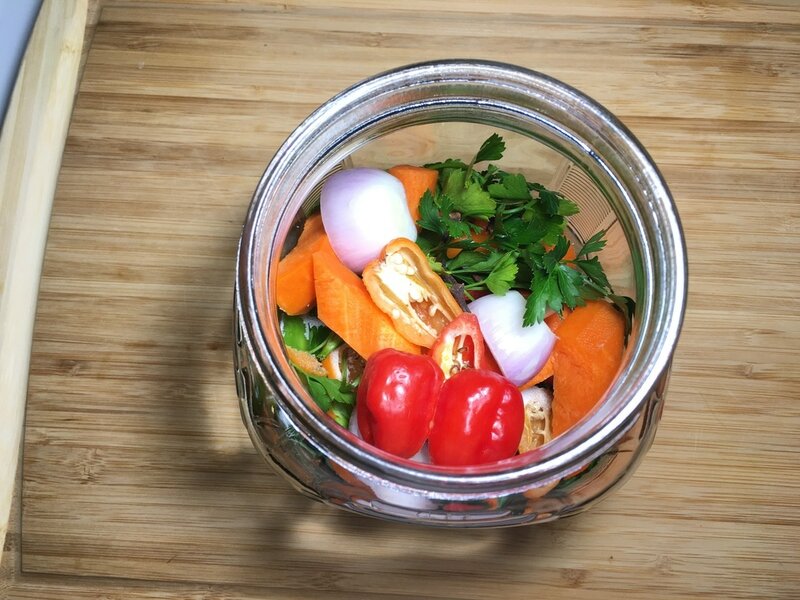 She always had a jar of this stuff at her home and no other piman compares to it. I don't know why but why does something taste so much better when your grandmother or mother makes it even if you replicate the same dish? That's exactly how I feel about this. Theirs tastes so much better than mines even after asking for the complete list of ingredients. Don't worry though, this attempt at replicating it is still good. Because this sauce can be varied, the exact measurements are not given as it can be customized to your preference. I provide the general way of making this but feel free to adjust it to your liking. I know that some people include garlic. I used to use garlic but have found that the garlic decreases the shelf life drastically. If you decide to use garlic, keep the skin on. Peeling the skin will overpower the sauce with too much garlic flavor. 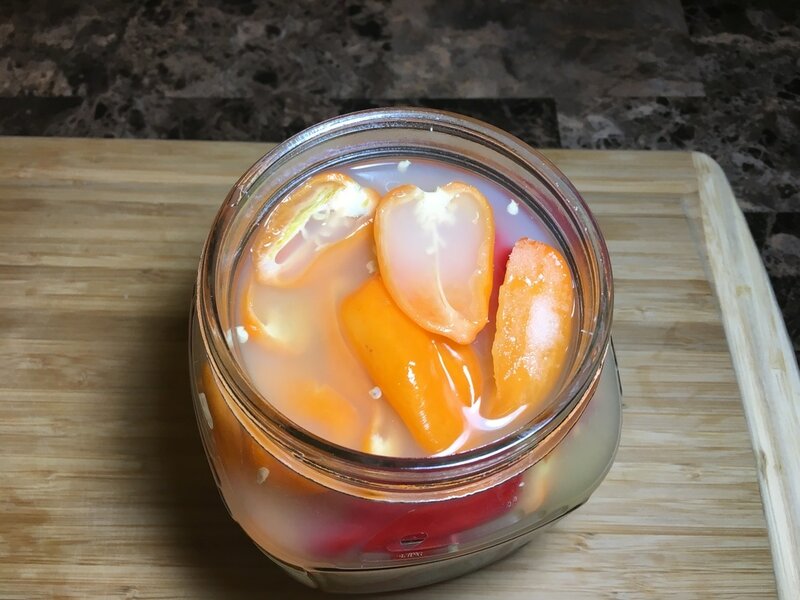 Some people use bell peppers but following my late grandmother's recipe, she does not use them. 1. When handling hot peppers, I highly recommend using disposable gloves. 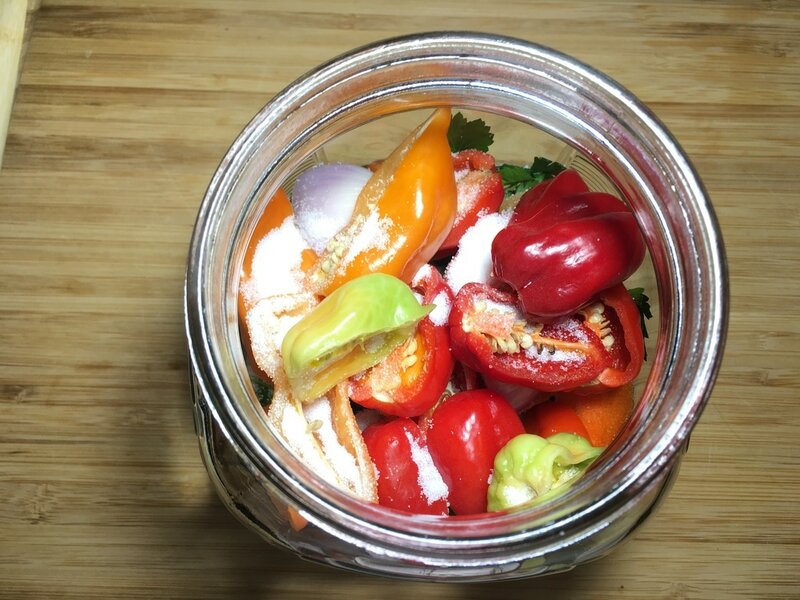 You can use several different kinds of hot peppers of your choosing. 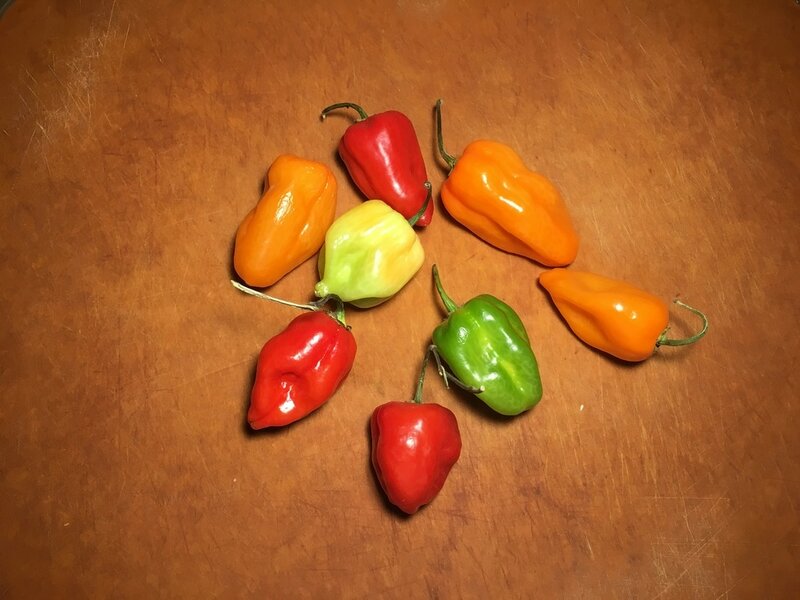 Jamaican hot habanero peppers are a good choice. Rinse the hot peppers and blot them dry with a paper towel. 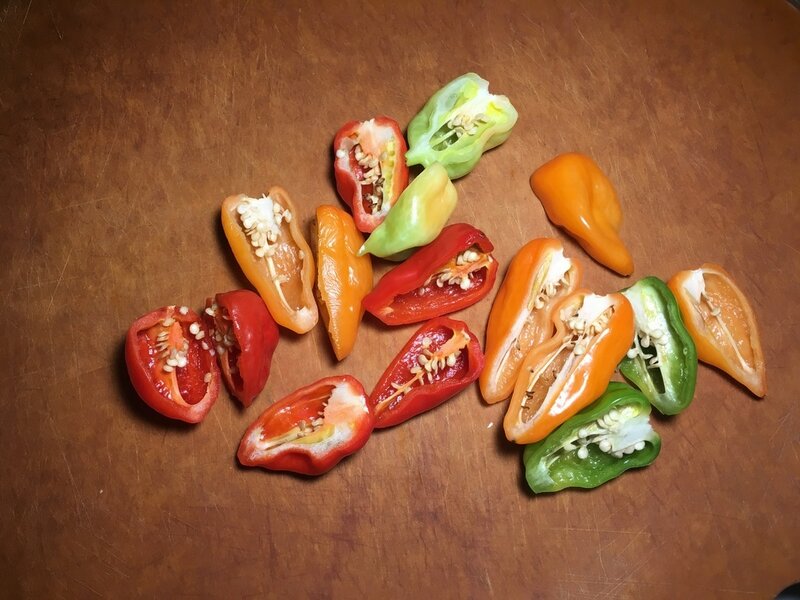 Remove the stems off the hot peppers by plucking them off or slicing them off with a knife. Discard the stems. 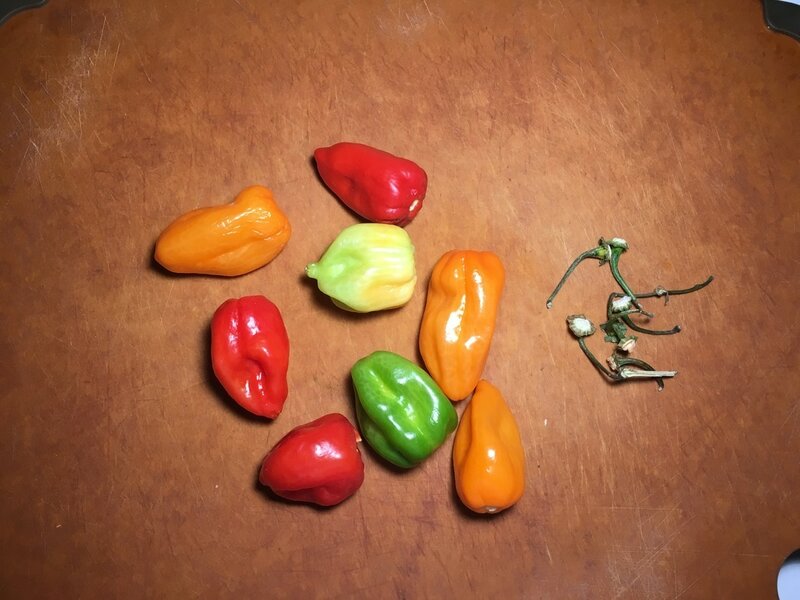 Cut each hot pepper in half. Set hot peppers aside. 2. 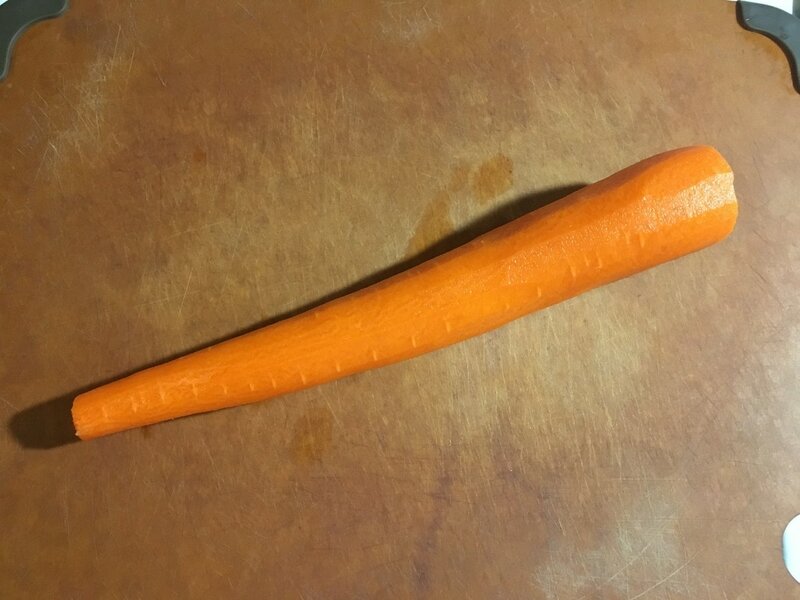 Cut off the ends of 1 carrot. Peel and rinse it. Blot it dry with a paper towel then chop it into large, bite-sized pieces. 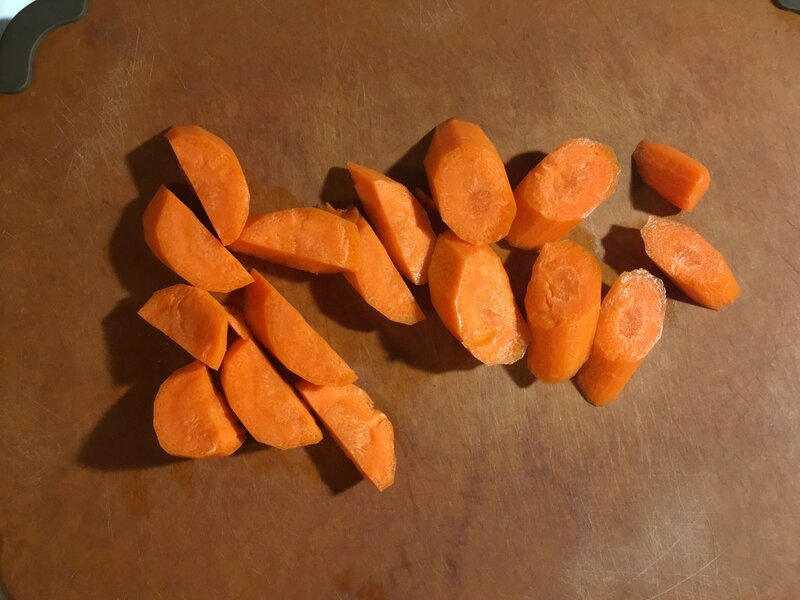 Set carrots aside. ​3. 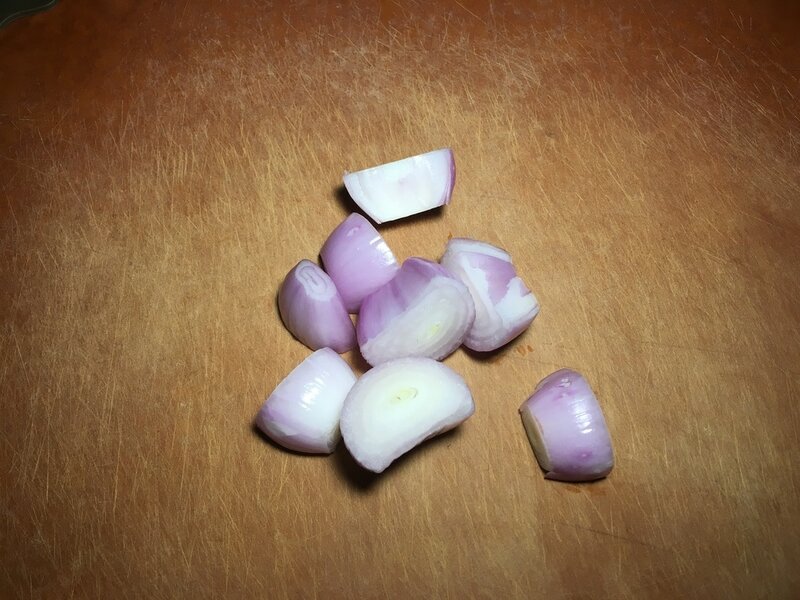 Peel and quarter 3 – 4 shallots. Set shallots aside. 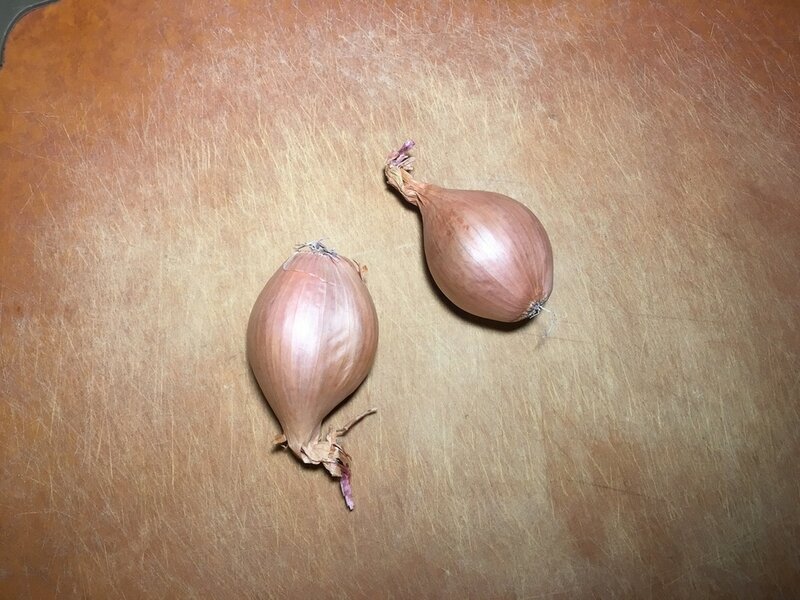 I only had 2 shallots at the time for demonstration purposes. I bought more and added them in at a later time. You also have the option to use onions. I’ve used onions before but the increased water content will decrease the shelf life. However, you can always refrigerate it to make it last much longer. ​4. 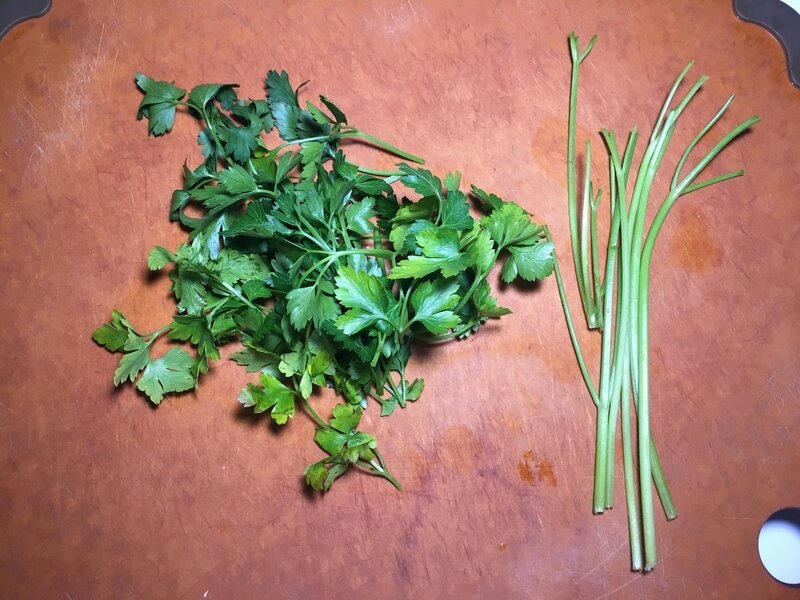 Trim off the thick stems of the parsley and discard. 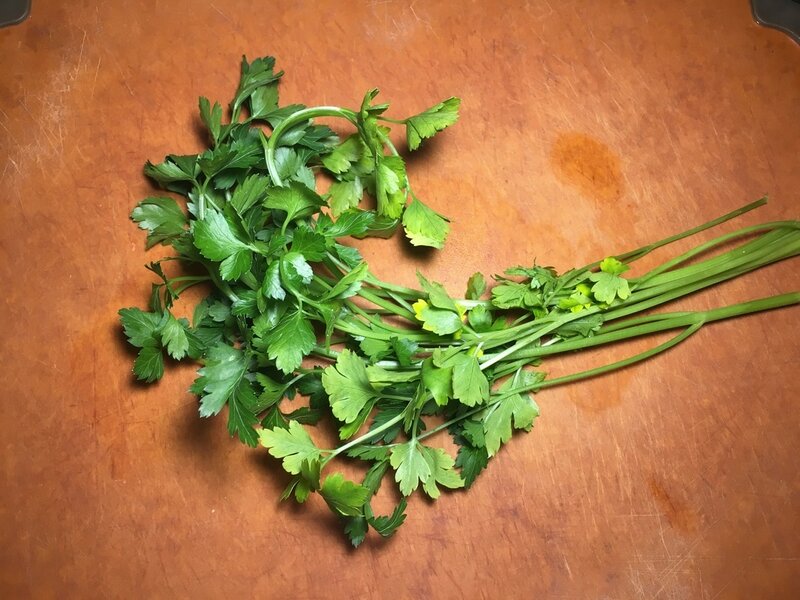 Rinse the parsley well, shake off any excess water, and blot dry with a paper towel. Don't use too much parsley. 5. Rinse and blot dry several sprigs of thyme as well. Fresh thyme instead of dry thyme works best. 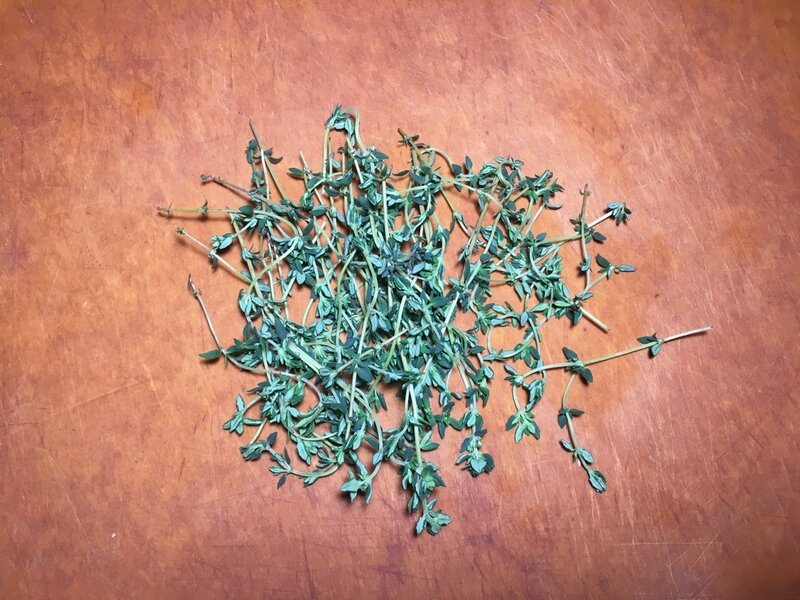 Set thyme aside. ​6. 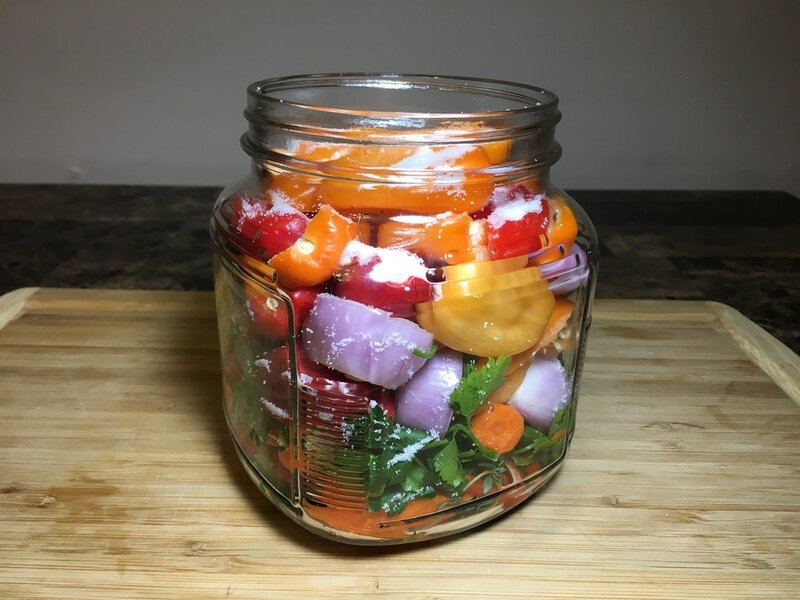 The next step is simply layering all the ingredients inside the container of your choosing. I decided to put all of the thyme at the bottom before mixing in the other ingredients. That keeps less thyme leaves from floating to the top. 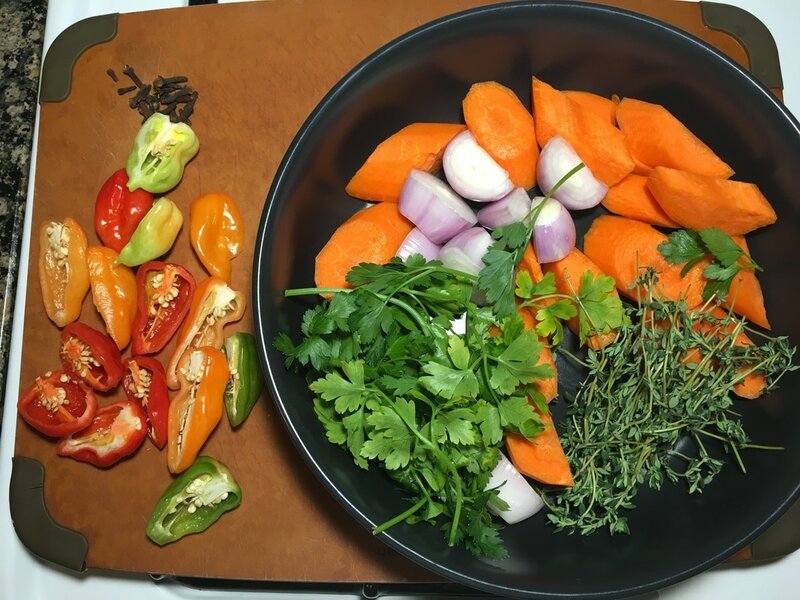 ​As you add the herbs, cloves, vegetables, and hot peppers, sprinkle about 1 tsp. of salt at a time with each layer. Pack in as much hot peppers as you can. With this 1 quart jar, I used about 4 tsp. of salt total. You also have the option of adding Accent if desired. I sprinkled in about 1 tsp. of Accent. 7. 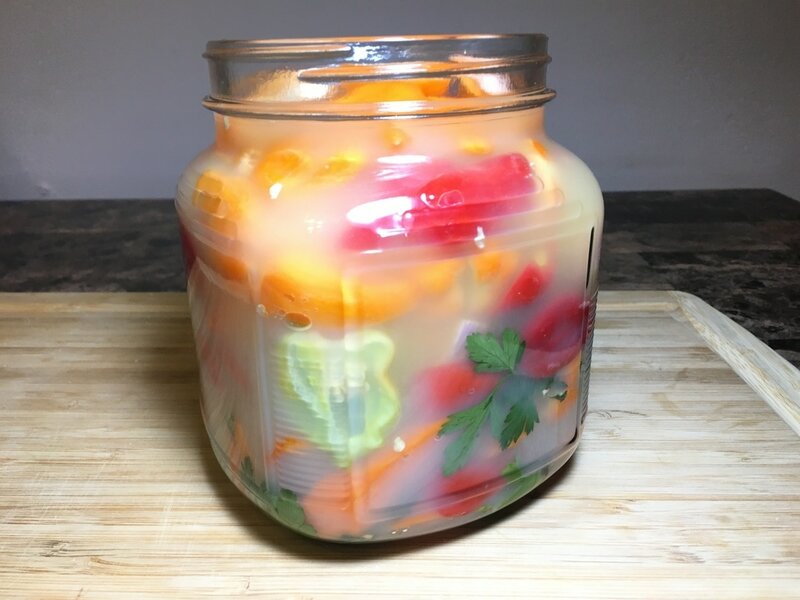 Once the jar is full, fill it up about 2/3rds of the way with lemon juice concentrate. Don’t forget to shake the lemon juice bottle before adding it in. 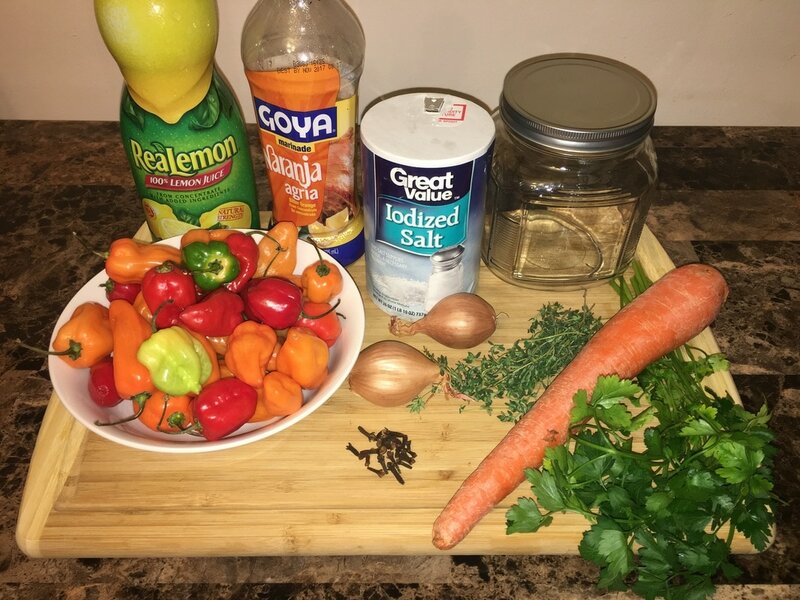 *My mother likes to blend a portion of the hot peppers with some of the lemon juice and pours it in with the rest of the ingredients. Not only does it help to slightly thicken the liquid, but the sauce is much more spicier. I've done it that way before and it's great. I didn't do it this time around but keep in mind that it's an option to consider. ​8. Shake the bottle of sour orange concentrate and fill up the remainder of the container. Fresh sour oranges are even better for this recipe. ​9. 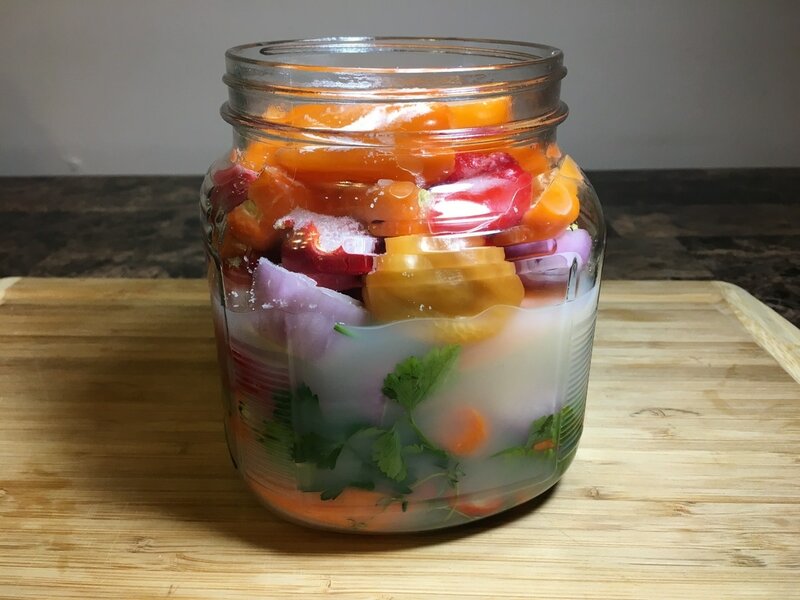 Let the mixture “pickle” for 3 – 5 days outside of the refrigerator before use. As you use the sauce overtime, you can refill it by just adding more lemon juice and sour orange concentrate. To allow mines to have a much longer shelf life, I store it in the fridge after about 3 – 4 weeks. Use it on anything you would normally use hot sauce on. What do you think of this recipe? What ingredients do you put in your "Piman Bouk"?